Home ♦ Build ♦ KA Motors E30 Turbo Kit! KA Motors E30 Turbo Kit! 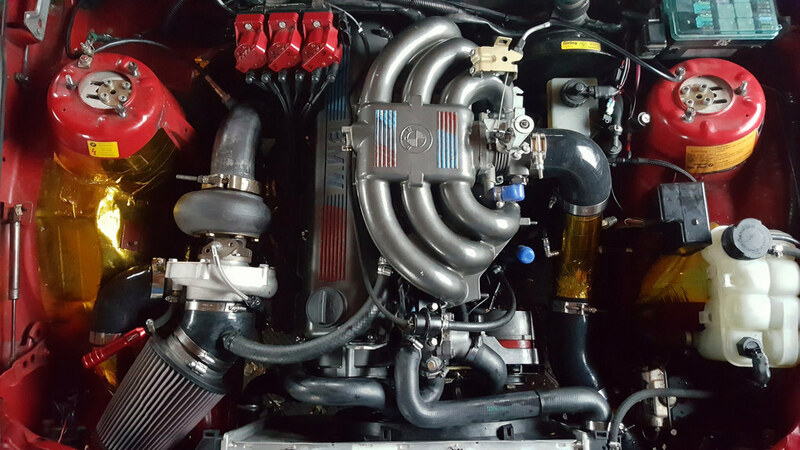 Check out this new M20 turbo kit from KAMotors Performance. 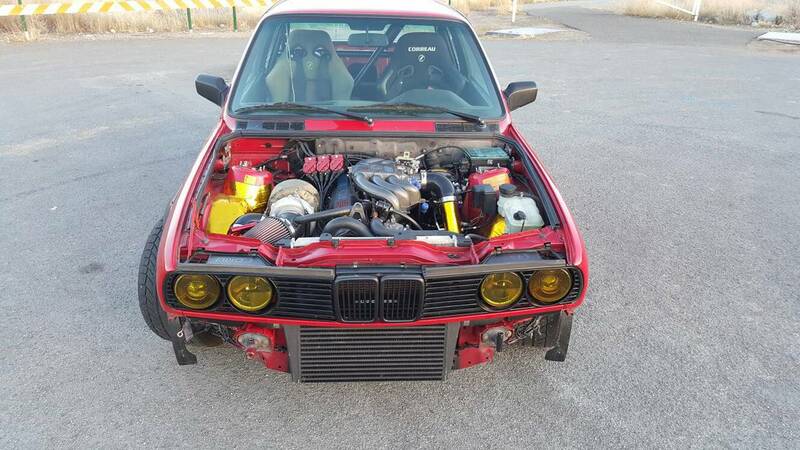 For $3,600 you get a full T4 kit with an intercooler that produces 400hp and 370tq – Im not sure if that’s engine or wheel but its a lot of power for an E30. This is the latest turbo kit from Kamotors Performance. They call it the “Canyon Crusher V2 turbo kit” and it features the same large t4 turbo as v1. It reaches 10psi in first gear with 3.73 rear differential and will reach positive pressure in 3rd gear at 3100rpms. But the V2’s real changes come from the simplified charge pipes. You get half the piping length, with smoother bends and transitions. This reduces weight, increases response time and allows the kit to install with ease. This kit still uses the massive intercooler but now its mounted higher up allowing for the use of oil coolers as well. An excellent turbo setup for High speed events where RPM’s are easily kept above 2500. The exhaust Manifold clears the factory oil cooler lines and A/C at the block, But my charge piping will not fit with Air conditioning. (we can sell a kit with universal charge piping for those who want to try to keep A/C) Intercooler sits down low in the valance so one 325i models you’ll need to either Remove or relocate your oil cooler.BMW Part #11112140435 will delete the oil cooler. Precision 6262 t4 .84A/r turbocharger. -better dialed in Base tune.New base tune has better calibrated warmup enrichment, Barometric correction, Fuel and ignition table as well as wasted spark, launch control and flat foot shifting capabilities. Kameron Baker is the man behind KAMotors Performance and say that the kit is designed to work on 100% original bottom end and he has been personally tested to boost levels between 1-17psi. He’s done further testing upto 20psi but is not comfortalbe running that much power on a stock motor. If your wondering about the clutch he says that a brand new factory clutch held around 10psi, but they he personally runs a clutchmasters fx400 and it holds 17psi without issue. 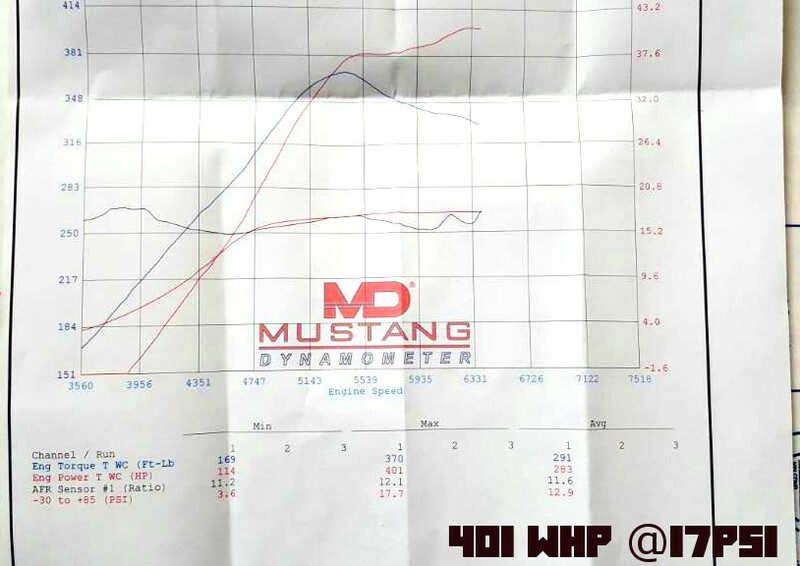 Kameron says that all testing was done on a Mustang dyno and that with only minor fueling changes from the base tune you can run these power levels. – 401whp and 370trq at 17psi. Keep in mind that this kit is made to order so please allow 2weeks for shipment w/out ECU and 3 weeks for kit with ECU. ← Previous Post: COOLEST POLICE CAR EVER!